This is not a post about an exhibition. This is a post about convergence. Who would have thought that word would come up so often in my life? It was a buzz-word du jour when I worked for a large media company about a dozen years ago. Back then, it was about the convergence of digital and traditional media and the coming together of separate businesses housed under one roof. It buzzed for a year or so and then submerged into linguistic languor. That convergent sense of motion had been stilled by an economic slump. I saw the word recently in a tweet about a New York Fashion Week collection. Convergence is back in style again. 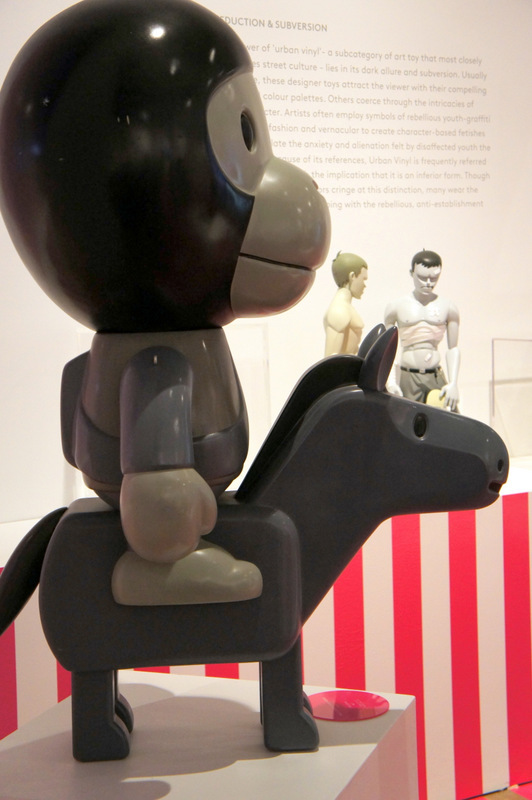 Then, there it was a few days apart at a preview of a contemporary art and collectible design exhibition called This Is Not A Toy, currently on view at the Design Exchange in Toronto. You’ll find a few more colourful characters in the Financial District these days. 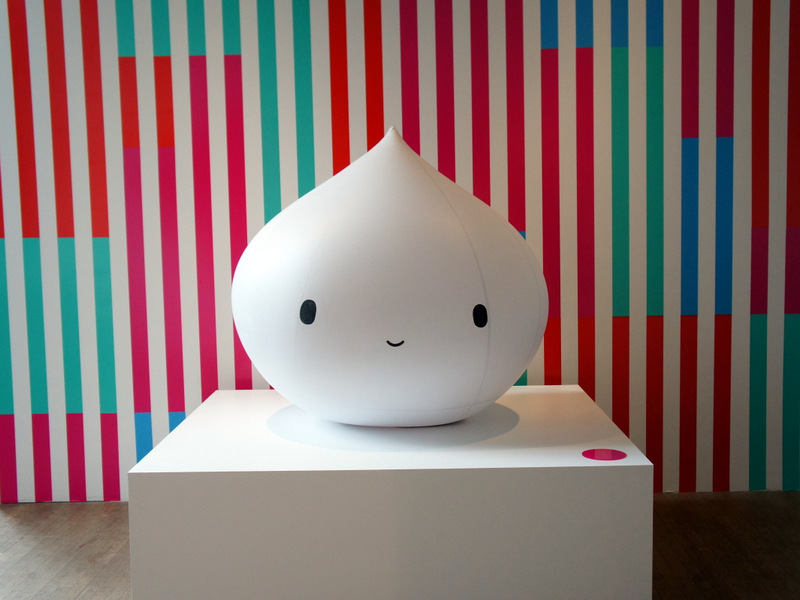 Featuring the works of Takashi Murakami, FriendsWithYou, Kidrobot, KAWS, DOMA and many more, the show aims to present the blurred lines between the worlds of contemporary art, industrial design and commercial toys. There is a distinct merging also of the worlds of fashion, pop culture, street culture, the covetable object and graphic design. Craft and technology – specifically the digital world – also provide an overall arc to the show, in my view. 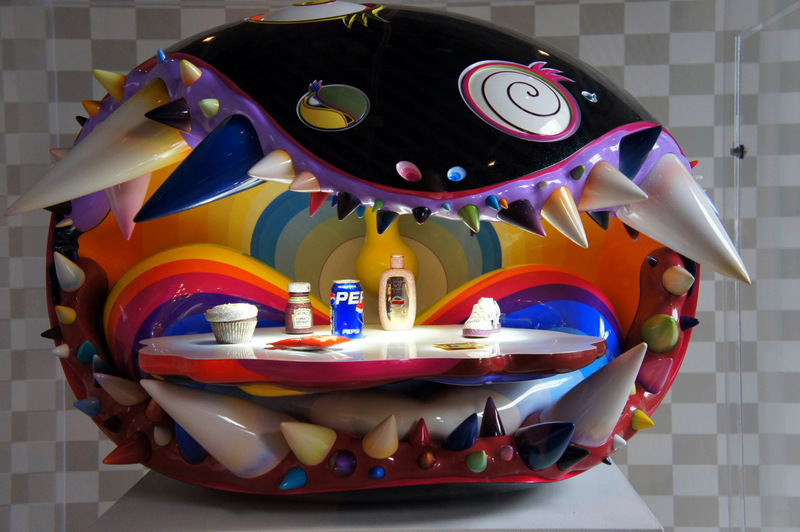 The Simple Things by Takashi Murakami, Pharrell Williams and Jacob the Jeweler, 2008-2009. Guest curated by Pharrell Williams and co-curated by John Wee Tom and the DX’s Sara Nickleson, the floor is filled with the convergence of their worlds, too. Pharrell is well, Pharrell and like Karl Lagerfeld, it’s hard to keep up with the many hats he may be wearing at any given moment. 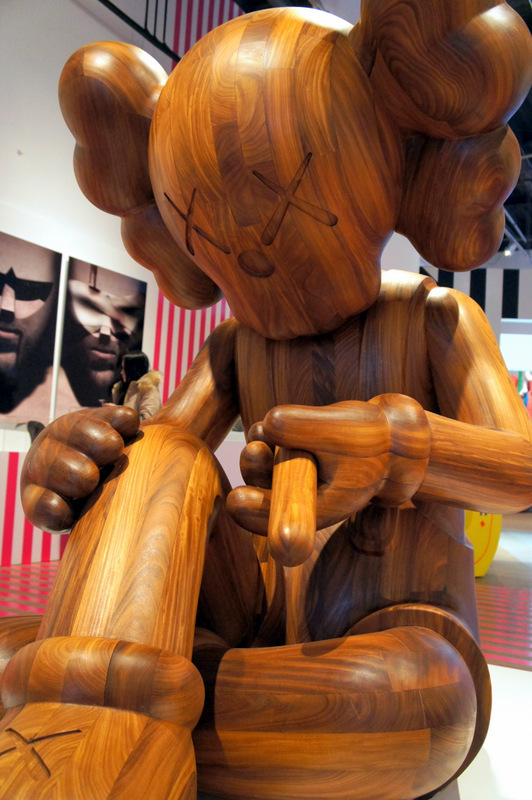 He’s a musician, music producer, performer, Murakami collaborator, clothing designer, kidult and avid collector. 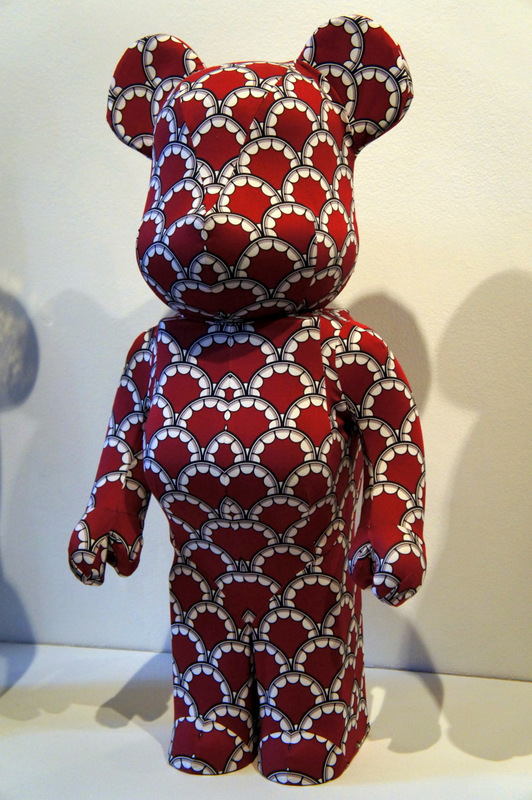 Pieces from Pharrell’s own collection are included in this show and he was pivotal in bringing key characters in to play, making introductions and even letting Wee Tom, Nickleson and DX president, Shauna Levy into his home, to hand-select items that would be included in the exhibition. Wee Tom, co-owner of TO’s haute Templar Hotel, brought some of his own collection to the mix as well, along with his obvious passion for the genre. Milo on Rocking Horse by BAPE – from Pharrell’s personal collection. Sara Nickleson and John Wee Tom, co-curators of This Is Not A Toy. 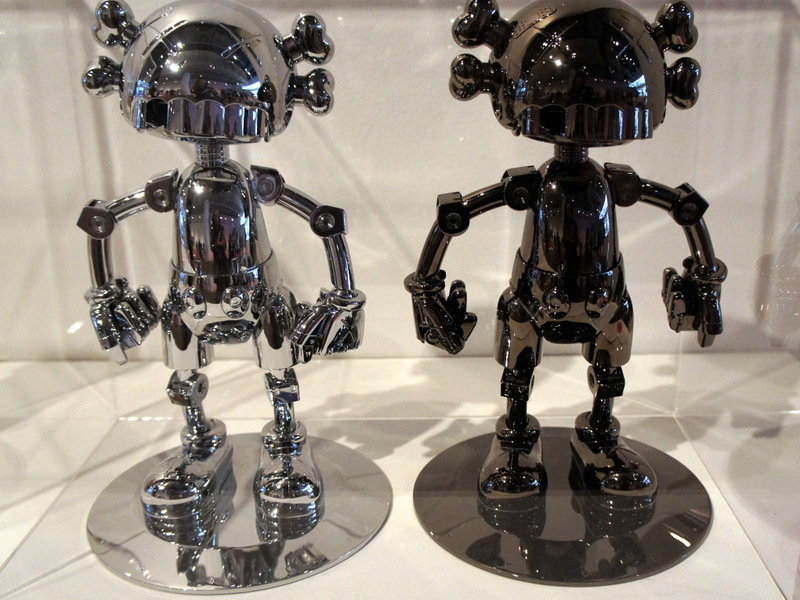 Nickleson and Wee Tom spoke of the origins of these collectibles, in the late ’90s in Hong Kong and the start of the urban vinyl trend by Michael Lau. 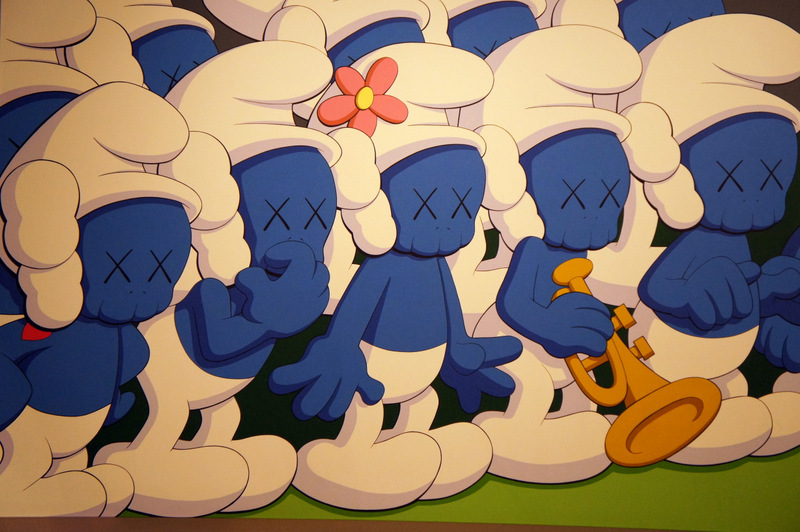 Following Lau’s initial foray into the space, artists like Japan’s Murakami and New York based KAWS, known as a graffiti artist then, came into the mix, along with DJs, musicians, hip hop instigators, graphic illustrators and beyond. It was all about that convergence of ideas, of genres, of mediums. 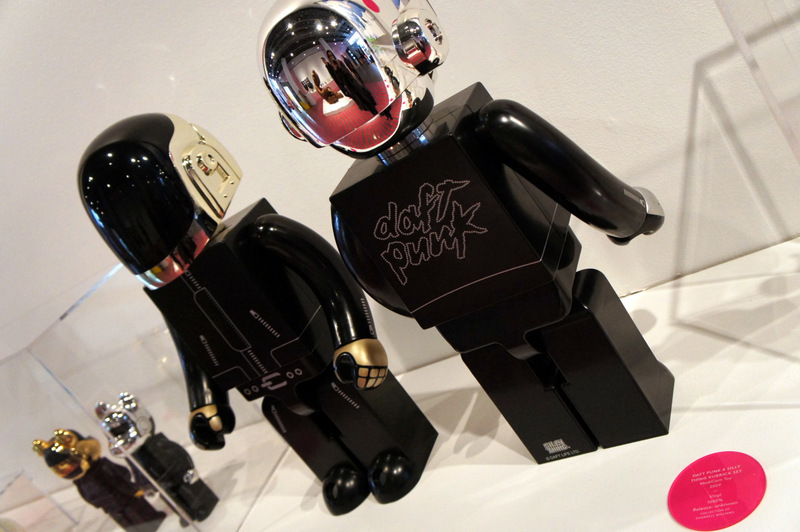 Daft Punk make an appearance: Daft Punk and Silly Thing Kubrick Set. What is art? What is fashionable? What is cool? What are the differences between illustration and performance; between collectible and commercial; between display and use? These are likely questions that were asked by the above creators, who didn’t see limits to what their creativity could be. They questioned the notion quietly amongst themselves and started a movement, which was a concept of the mind and the imagination, first and foremost. They created their own characters and their own worlds, and in doing so, opened the art world for so many, according to Wee Tom. 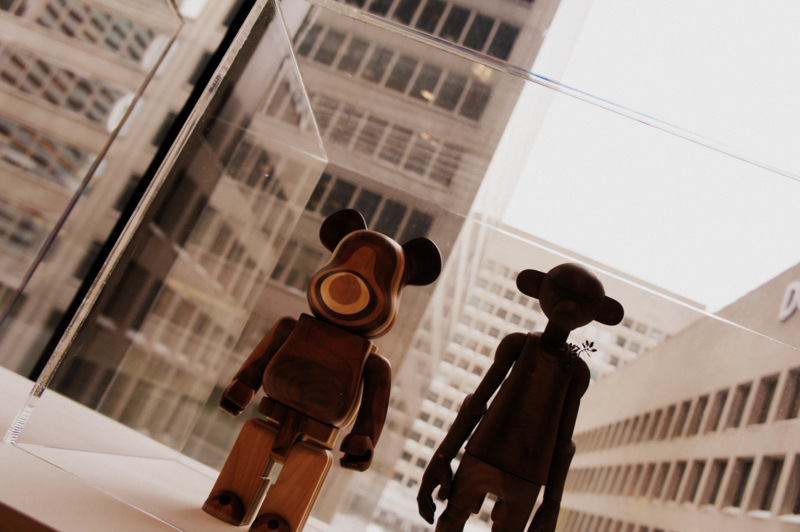 One of ten Canadian Kidrobot MUNNYs created especially for the exhibition. Seeing these works on display and discovering their underlying themes, it is no wonder that the show is called what it is. Inspired by Rene Magritte’s Ceci N’est Pas Un Pipe, a painting portraying an everyday object as art, the show instantly starts a conversation with the visitor. The founders of both the Dada and Surrealism movements at the time were questioning everything around them, as well. (Sorry Dadaists, I shall briefly refer to it as a movement. Je m’excuse.) Why did art have to be the way it was – what was art? 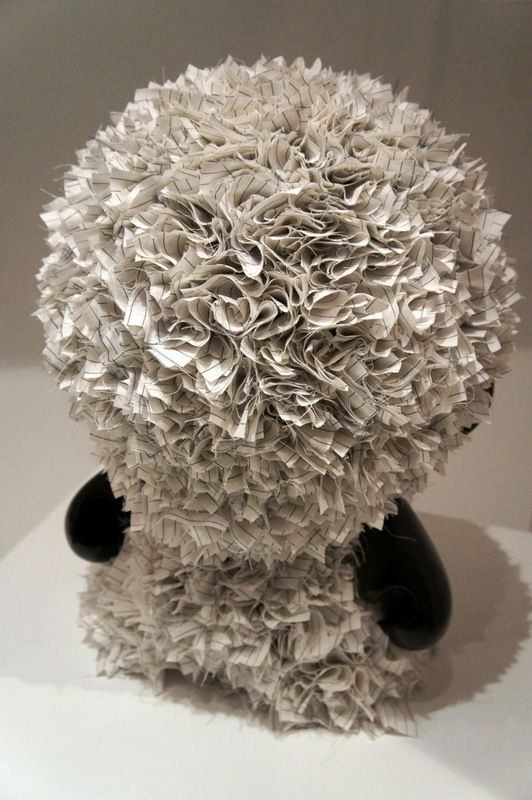 What was painting versus sculpture versus objet versus writing versus film? Everything they knew to be absolutes at the time – society, culture, economy, country, security – were all uprooted. 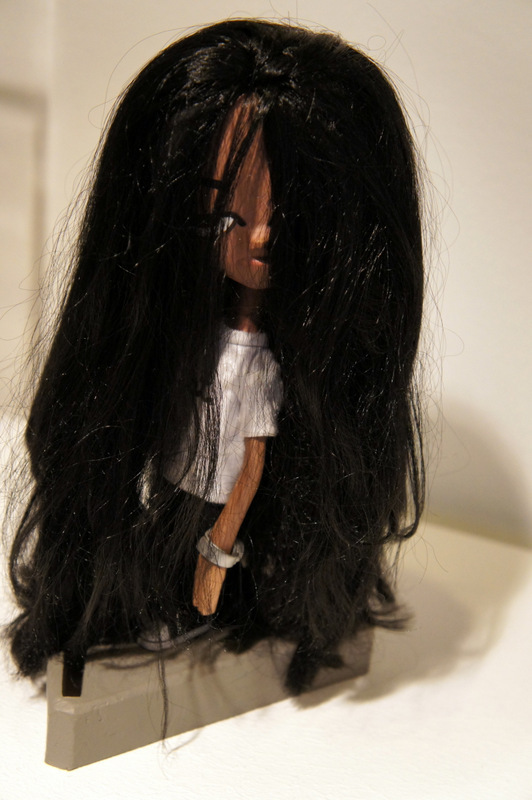 Ooh, a goth chick action figure? Maybe I can get into this collecting thing after all. They questioned everything in their own not-so-quiet community and changed the visual and sensory worlds as we know them. It’s amazing to me how many subsequent artists, writers, filmmakers, musicians, fashion designers, toy makers, chefs and beyond have been inspired by the Duchamps, the Dalis and all rest of the Dadaists and Surrealists. 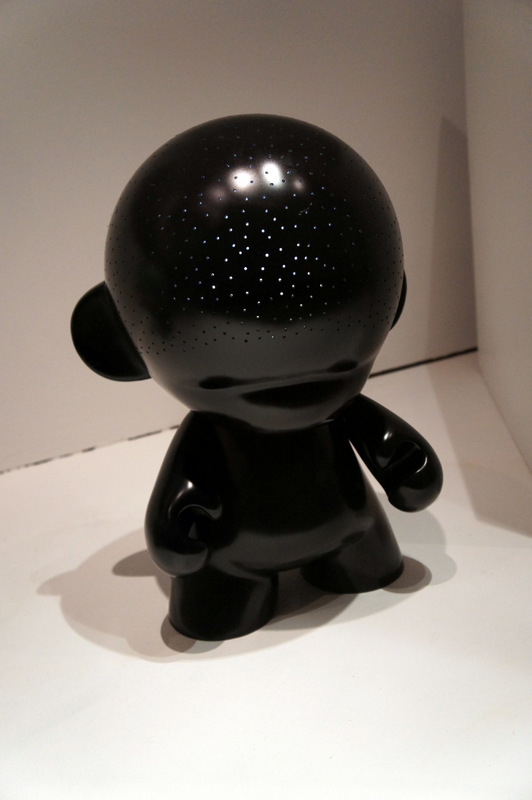 Jeremy Laing’s take of a Kidrobot MUNNY. Through their automatic writing and exquisite corpses – where words or illustrations, respectively, were passed around the table for each member to add to – the Surrealists played with the idea that nothing is final. 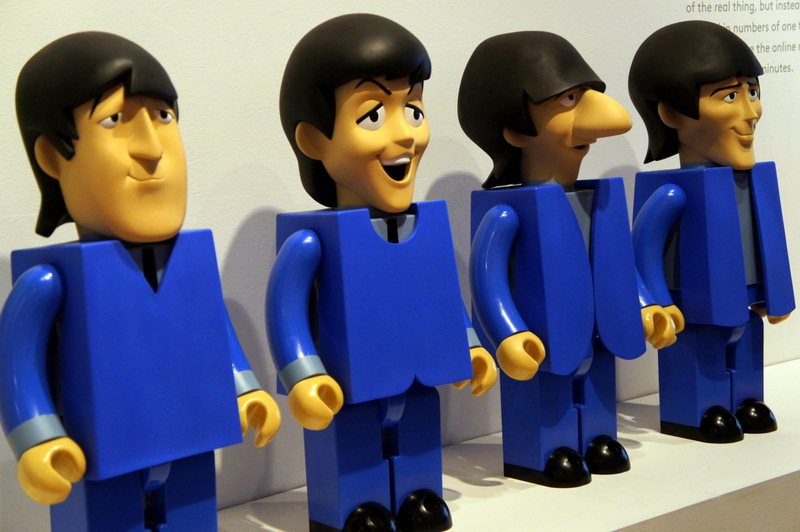 This idea carries through to the urban vinyl and collectible toy movement – toys were often created using pieces from other toys. The idea persists here, that one object can become something else; that it can take another form; that art can be a toy can be sculpture and can be usable and still be collectible. So really, this notion of convergence is as old as time. Every now and then a group comes along and questions the status quo, shakes the structure of pre-set ideas, of conformed spaces and categories. What’s most interesting to me about this group is their mixing of covetable, collectible and commercial. Marketing, to them, isn’t a four-letter word but very much a part of their world. Product is not passé, but passion, here. The value of these ‘toys’ can range from a few dollars to thousands, but the inherent value for collectors isn’t necessarily defined by dollars. 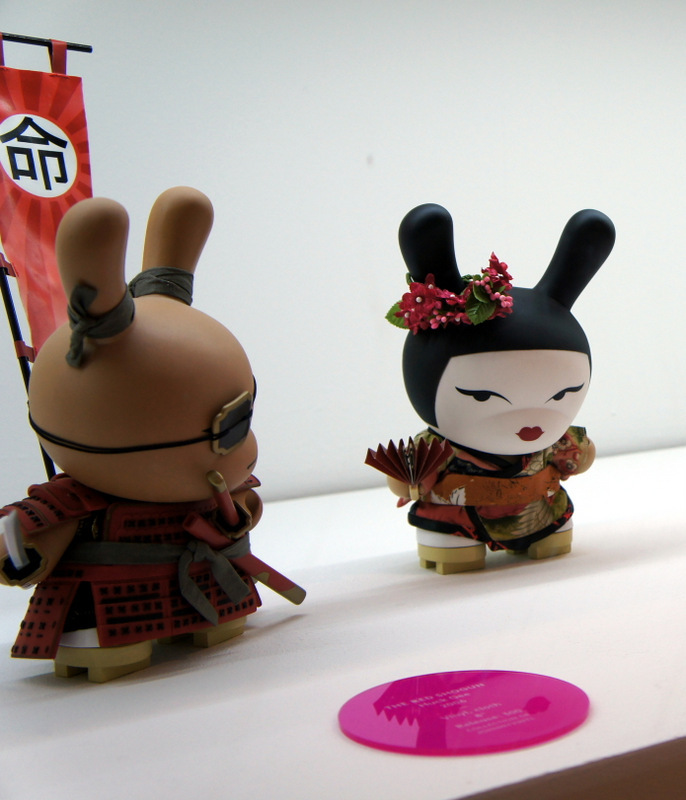 Nickleson indicated that the higher priced pieces were easier to obtain for the show than some of the smaller, limited edition figures. Their owners didn’t want to part with them. 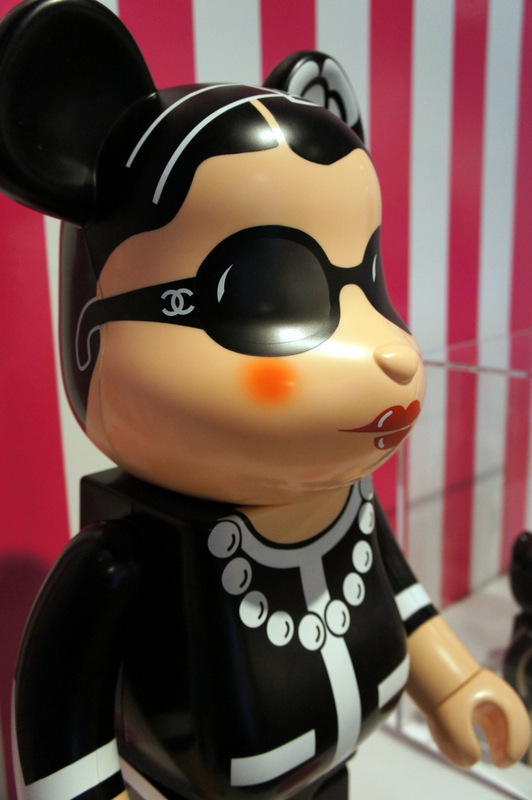 Speaking of collectible…the coveted Chanel Be@rbrick given to fashion editors by Uncle Karl. This one comes from Jeanne Beker’s personal collection. That emotional connection with these objects really illustrates the similarities with the fashion industry. That sense of special, limited, collectible, one-of-a-kind likely found its roots in couture, as well as from the luxury marketing machine. Here there is also the play of mass versus mine. The Red Geisha by Huck Gee – another one I found myself wanting. Uh oh. 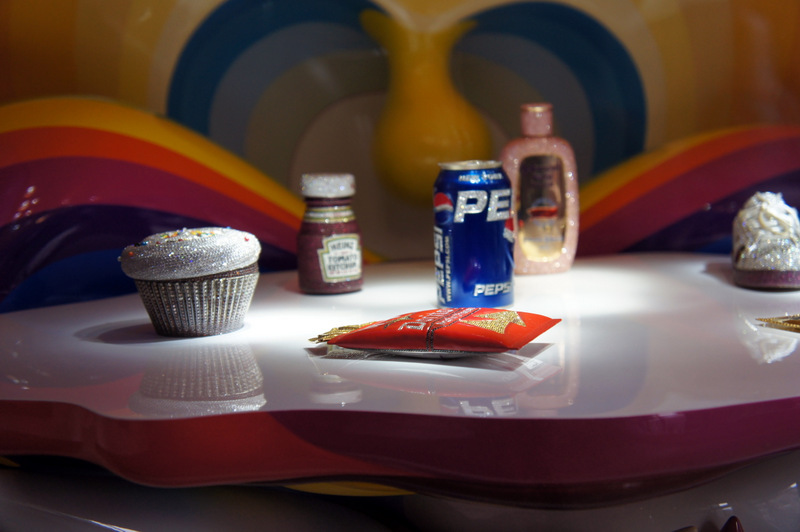 The Magic Pony crew have created an enclosed room in the show – the Pon Pon Pony Jam and it’s filled with fantastic personalities. I loved this musical lot for obvious reasons. The Museum is also hosting the Magic Pony pop-up shop for the duration of the exhibit, where collectibles are also shoppable. The fairy-dusted store and gallery space that opened over 10 years ago on Queen Street West recently announced their departure from the retail space, so this is your chance to still experience some of the magic that Kristin Weckworth and Steve Cober created over the years. I know they’ll continue to create a sense of wonder in this city, and of course, you can still find them online. Kristin Weckworth and Steve Cober of Magic Pony. Going back to Dada for a moment, the genre had only one rule and that was to never follow any known rules. This is the first show of its kind in Canada. 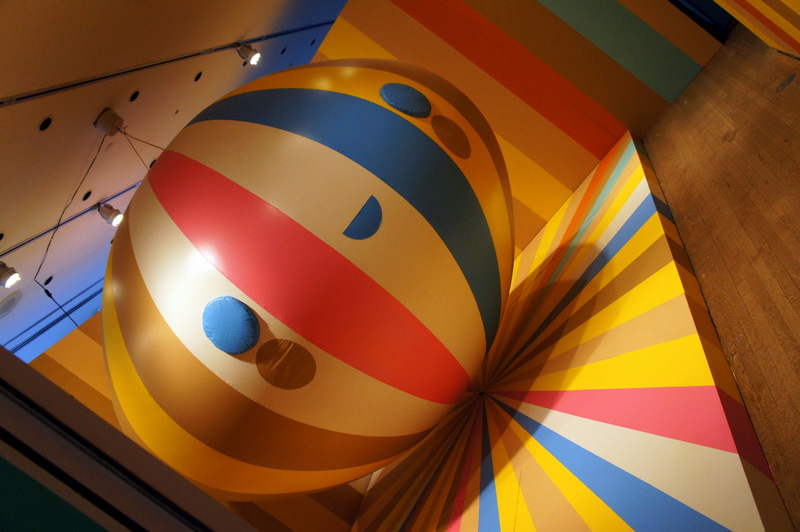 The Murakami piece has been shown at the Tate Modern, at Versailles, Art Basel and now sits in the heart of Toronto’s Financial District (in the Design Exchange’s glorious Art Deco building, the home of the city’s original stock exchange). Those are real gems in the Murakami. The show is worth a visit for this piece, alone. Toys, towering above the bank towers. The show is a step in the right direction for this city’s cultural scene. Bravo to the DX for taking that risk. 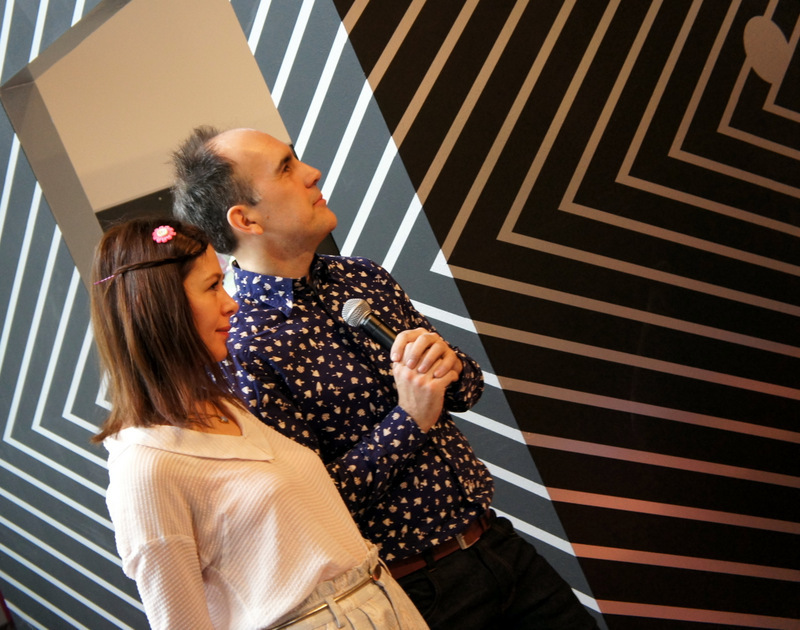 I’ve been an avid supporter of the country’s only museum dedicated to all things design, having attended everything from a Star Wars themed evening to Danish design exhibitions over the years. The DX is trying to be more accessible, now that Levy has taken the reigns. Recent exhibitions have included a knock-you-off-your-heels Christian Louboutin retrospective, a show about French lingerie, the Hermès Festival des Métiers and a toy car exhibition. While this exhibit is approachable and accessible, it is also educational and entertaining and changes our idea of what a museum space can be. 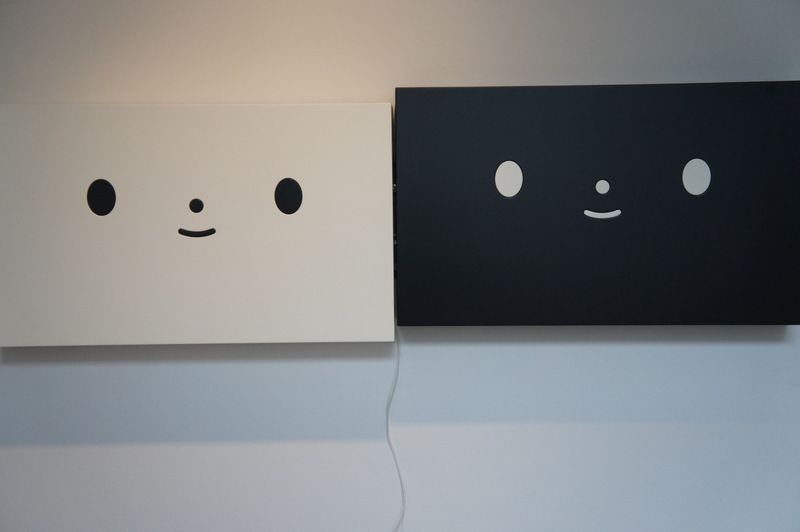 This piece, entitled Up & Up by FriendsWithYou, moves up and down and has a great chill-out vibe. 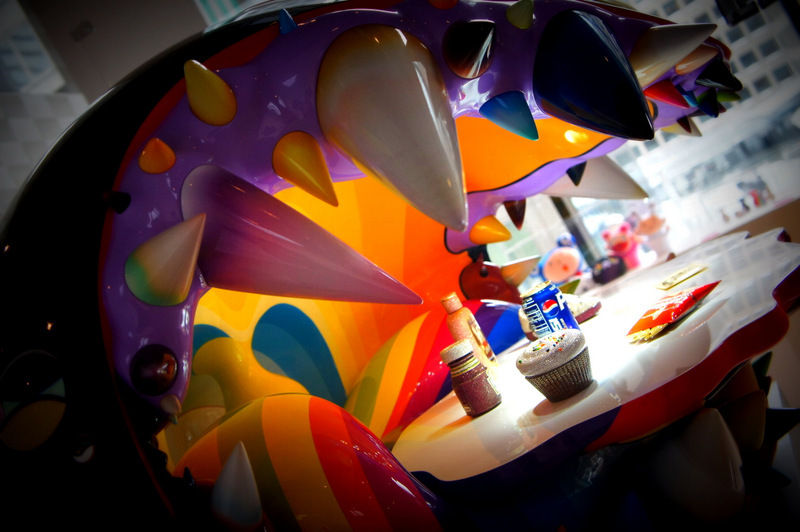 Rainbow Vortex, also by FriendsWithYou, is a hands-on experience. I’ve long been a believer that cultural institutions need to blur their lines a bit more, to question their role in our society, to have us question the evolving definition of art. In another life I practiced convergence by bringing together people from all walks of life to connect over culture in this city. Perhaps it’s time for another movement. Maybe I’ll take some of the ideas from this show and create another cast of characters, across the boundaries of geography, vocation and genre. I didn’t have a particular interest in contemporary toys prior to this show, but left with a (collectible) handbag full of ideas. Isn’t that what exhibitions are for? This show is not to be missed. It runs until May 19th. More FWY happiness – in Godly. More info on hours, location and related events, including a series of cocktail mixers called what else but This Is Not A Work Party. 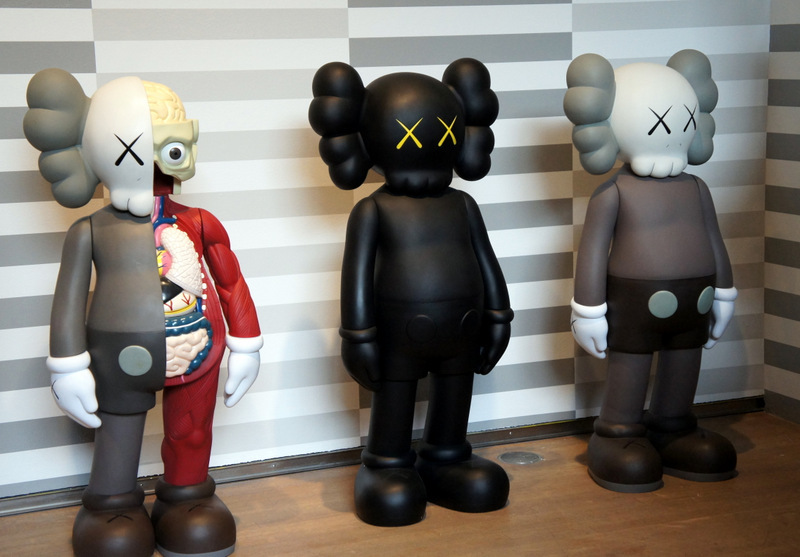 The 6th Anniversary KAWS Be@rbrick – so right now with the print and colour. if you are using them on your site. Merci!